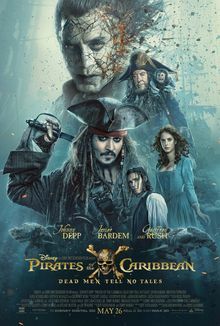 Two years following the post-credits scene of At World's End, 12-year old Henry Turner boards the Flying Dutchman to inform his father, Will Turner, that the mythical Trident of Poseidon is able to break his curse and free him from his ship, and of his intent to seek Jack Sparrow's help to find it. Will does not believe the Trident exists and orders Henry to leave his ship and never come back. Read more on Wikipedia.